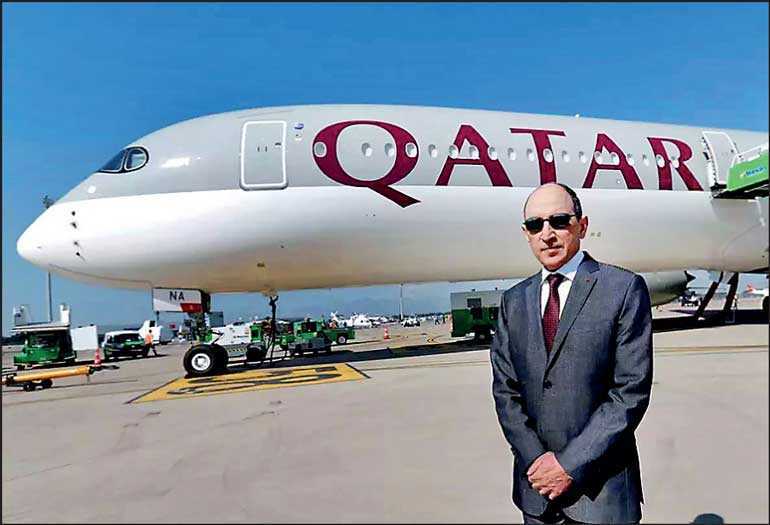 MUMBAI (Reuters): Qatar Airways will not buy a stake in Jet Airways as a substantial portion of the debt-laden Indian carrier is held by Etihad Airways, whose owner Abu Dhabi is an “enemy” of Qatar, its CEO Akbar al-Baker said on Tuesday. Abu Dhabi is part of the United Arab Emirates that cut ties with Qatar in 2017 over accusations of supporting terrorism. Doha denies the charges. The UAE, together with Saudi Arabia, Egypt and Bahrain have banned Qatar Airways since June of that year as part of the dispute. Etihad plans to hike its stake in Jet to help the Indian carrier with its financial woes, a person close to the Abu Dhabi carrier told Reuters late on Monday. Al-Baker said Qatar Airways would be “delighted” to take a stake in IndiGo, the largest airline in India - home to the world’s fastest growing aviation market. The Qatari airline has previously expressed an interest in investing in IndiGo, owned by InterGlobe Aviation. “But not in an airline where substantial ownership is by the enemy of my country,” he said, referring to Jet. Qatar Airways posted a 252 million riyal ($67.18 million) loss for the financial year ended 31 March 2018, as it lost access to 18 destinations due to the political dispute. As part of a broader effort to diversify its portfolio outside its home market, the Qatari carrier purchased a 10% stake in Hong Kong’s Cathay Pacific Airways Ltd. in 2017 and 5% in China Southern Airlines Co Ltd this month. Qatar Airways also remains interested in starting a fully owned airline in India, al-Baker said on Tuesday, but that is not allowed under India’s current foreign investment rules. Given China and India “are the biggest growing markets, it is obvious as an airline we want to invest strategically in those regions because we ourselves are a very rapidly growing airline”, he said. Al-Baker has threatened publicly to pull Qatar Airways out of the oneworld airline alliance despite holding minority stakes in members Cathay Pacific, British Airways and LATAM Airlines Group SA. China Southern in November said it would exit the rival SkyTeam alliance, in a move that opened the potential for it to join oneworld. “Joining oneworld is entirely their business decision and we always will respect as a stakeholder the decision made by the majority shareholder,” al-Baker said of China Southern.